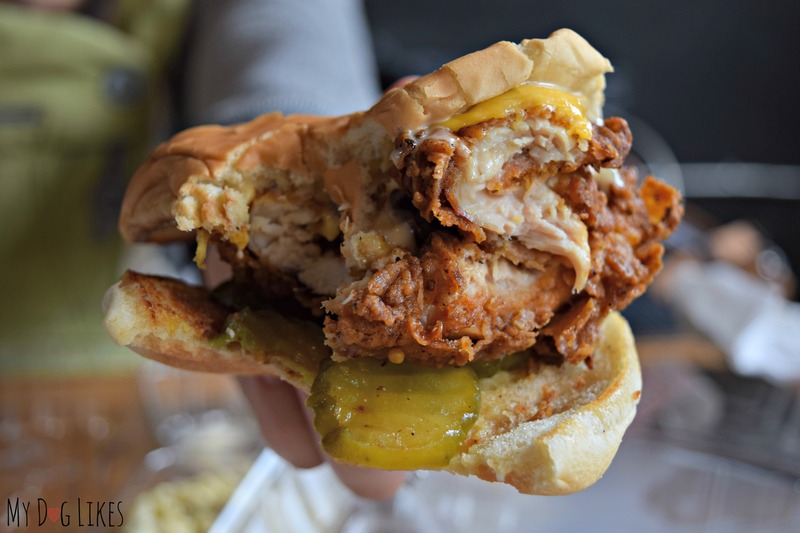 The original itinerary for our time in Asheville, North Carolina was to explore nearby Chimney Rock State Park on our first day and the city on our second. Our thought was that downtown Asheville may be less crowded on a weekday and as a result, easier for our family to stumble around (and not make a scene). Unfortunately, we woke to some torrential rain. A check of the forecast threw a further wrench into our plans. Not only was the rain to continue all day, but all week, in fact the entire region was going to be getting several inches of precipitation! What timing! While we would have considered hiking in the rain with the pups, doing so with a baby was of course out of the question! We clearly needed to figure some things out, so I ran out to pick up some breakfast (and coffee) to get our brains in gear. 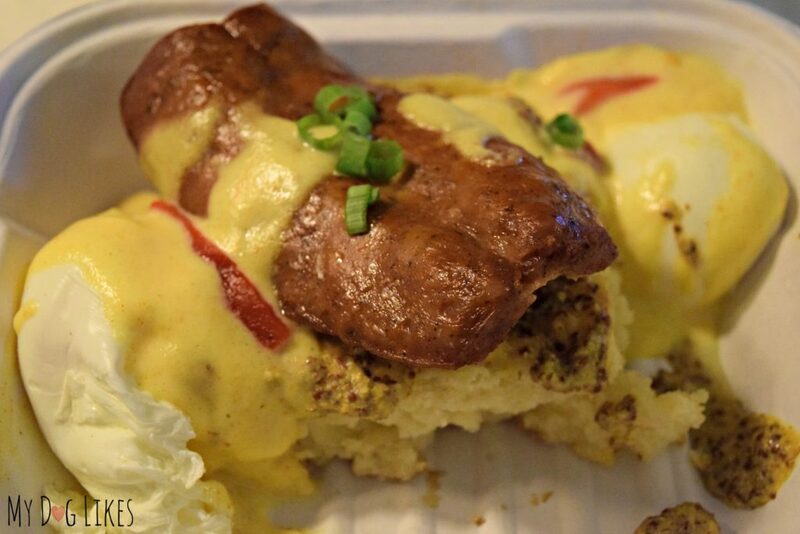 As I mentioned yesterday, we already had our breakfast spot picked out after reading some amazing reviews of Biscuit Head on Yelp! 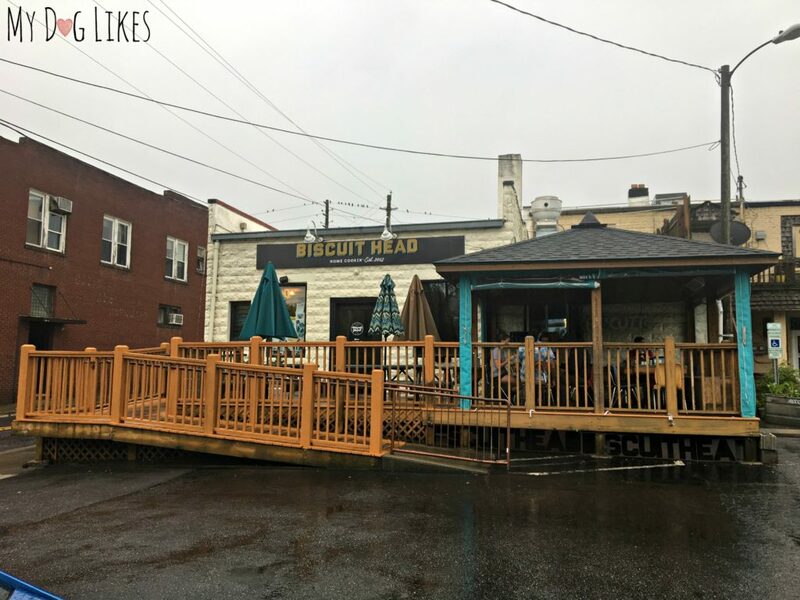 Only a few miles from our hotel in West Asheville, Biscuit Head serves a huge variety of breakfast dishes atop homemade biscuits. They are also known for their jam and butter bar which has dozens of unique flavor combinations to take your meal to the next level! There was a line out the door when I got there so it was a good thing we called ahead to place our order for pickup (They told us over the phone to skip the line and head straight to the register!). Everyone inside was super friendly and I loved the atmosphere. Plus, I found out that the large covered patio actually welcomes dogs! Rach ordered the Mimosa Fried Chicken Biscuit and I had the Cajun Benedict. Both were delicious – as I’m sure you can tell from the photos! After breakfast we decided to stay put for a while. Partly to see if the rain let up and partly due to our food comas. 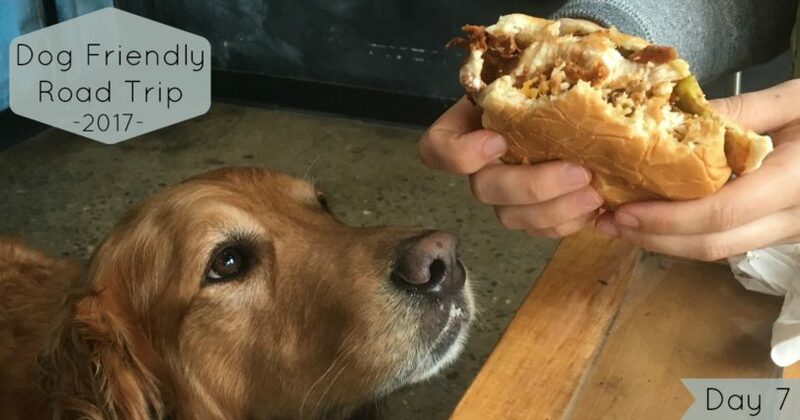 We did a bunch of research online and discovered that many of Asheville’s shops and restaurants actually allow dogs INSIDE! 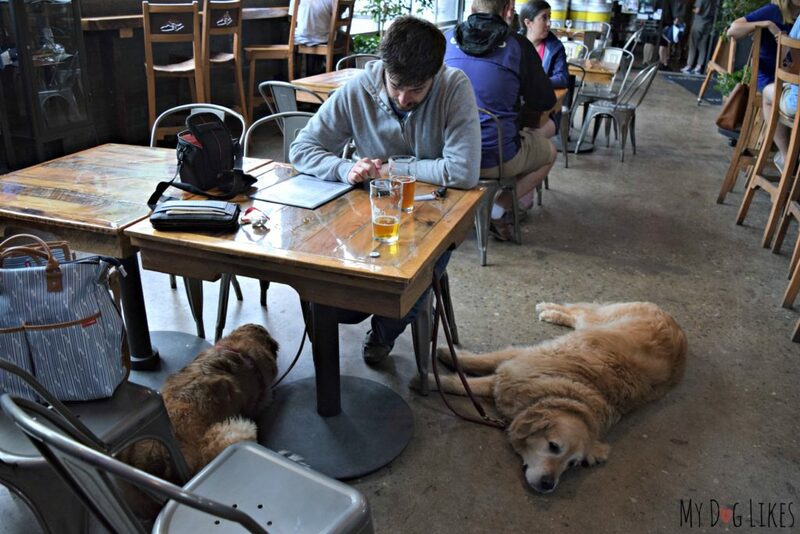 Of particular interest was a dog friendly brewery which seemed like the perfect place to hang out for a couple of hours and pass the time. Not until early afternoon did we finally muster up the ambition to brave the weather and try to explore the downtown area a bit! It was only about a 15 minute drive to downtown Asheville, where we began our walk near The Dog Door. 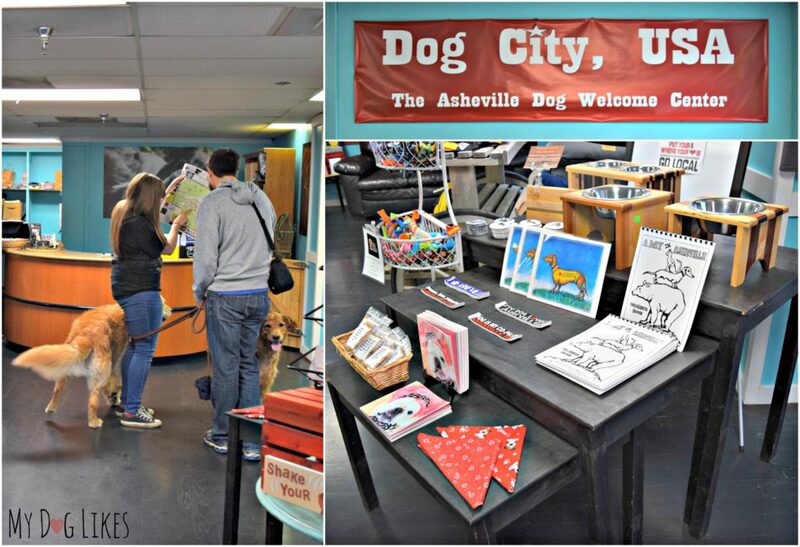 This adorable shop also serves as a dog welcome center with info on all the dog friendly things to do and see in the area. The store clerk was friendly and helpful and also didn’t mind the boys leaving wet footprints all over the floors! ? Unfortunately, it seemed as if the rain picked up while we were inside and it became clear that we couldn’t handle a walk in this weather with our crew. Talk about stressful! We decided instead to head over to the brewery I mentioned above to settle in for the afternoon. Further exploration of Asheville would have to wait until tomorrow! 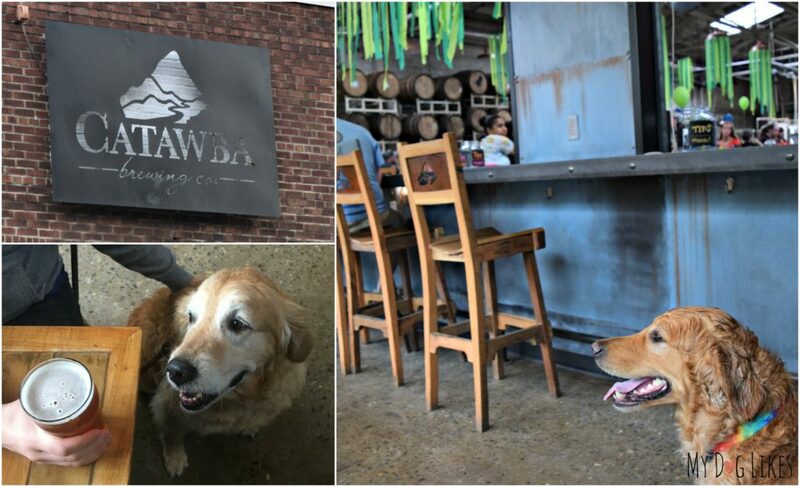 We arrived at Catawba Brewing around 3PM and were thrilled to find out that when they say dog friendly they really mean it! Several other pups came and went during the few hours we spent there. No one batted an eye when our gang strolled in and it turns out there is a whole room (with bar access) where the dogs are welcome. Plenty of space for our big guys to spread out! We enjoyed a couple of excellent beers while chatting with locals and other travelers. As usual Harley and Charlie drew quite a bit of attention from customers who were missing their pups at home! 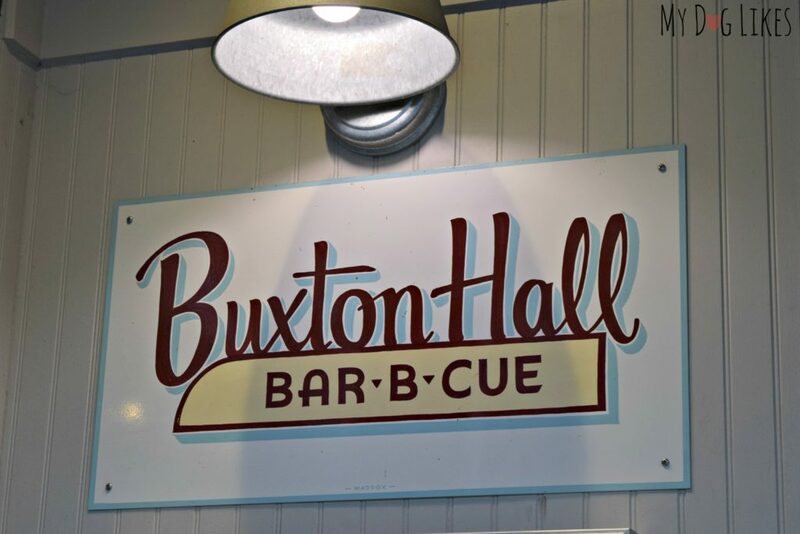 Located just next door to Catawba Brewing is a BBQ restaurant called Buxton Hall. A bit of research on Yelp confirmed what our noses were telling us – this was the place for dinner! Best of all? They even let you bring the sandwiches back over to the brewery to enjoy. Needless to say, Harley and Charlie were a bit jealous, but we were so happy to be able to enjoy a meal out WITH them! As if we haven’t sold Catawba Brewing enough, right on the other side of the building is Vortex Doughnuts. Regular readers will know that trying donuts as we travel is kinda our thing so this just seemed meant to be. We got there with only a few minutes to spare before closing but were able to pick up an assortment of donuts to enjoy back at the room later that night. Even better-because we were there in the last hour before closing we got BOGO donuts! (Buy One, Get One Free). 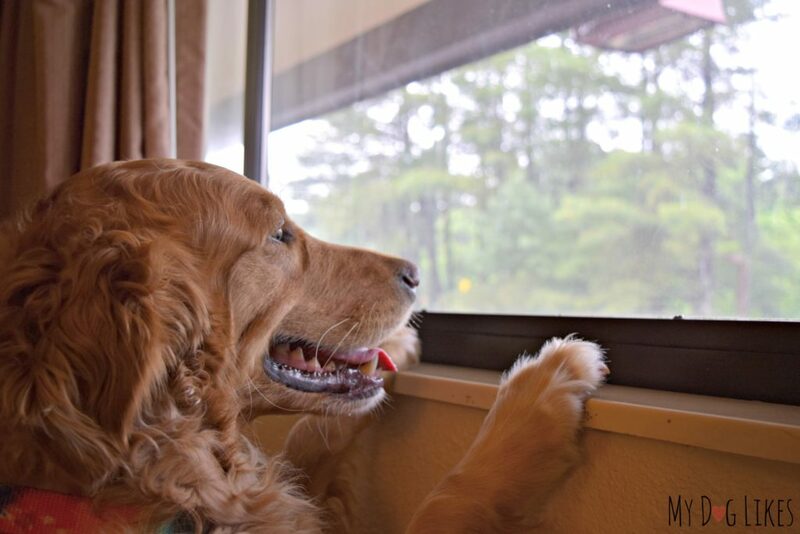 Be flexible – Travel (particularly travel with dogs) requires a certain willingness to go with the flow. Things will never go exactly as planned and though we were bummed to not be able to go for a hike as originally intended, this ended up being one of the most fun days of the whole trip. Try the Mother Trucker Pale Ale – I am a big fan of pale ales and Catawba’s is easily one of the best I’ve had! Downtown Asheville take 2? Or perhaps a hike? Let’s wait and see how the weather holds up! Mom is never thrilled about rain while traveling with dogs with all the wet fur, towels, etc. Looks like you made the best of it! You’re real pros! The best travelers are those who can go with whatever happens. 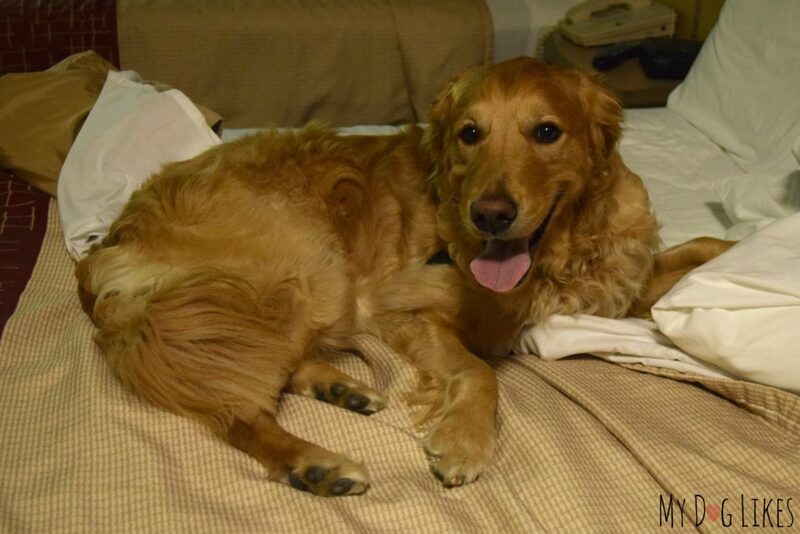 It was nice seeing you at the BlogPaws conference, this time with your beautiful baby girl! Traveling with two dogs and a baby is quite a challenge but it sounds like you made the best of it. Asheville sounds really dig friendly, it’s great to find that anywhere. 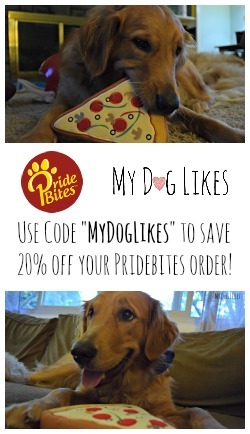 We have 2 dog friendly breweries where we are, it’s a fun thing to do with your dog! Hope the rain let up for you. ashville has lots of great places. sorry that the rain deterred your walk and other outdoor activities. 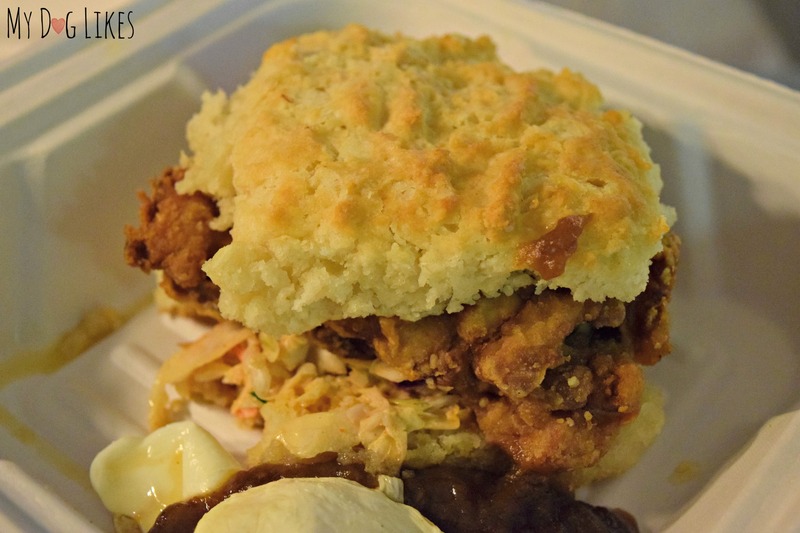 i get sick looking at the fried chicken biscuit. sorry it is not something i would eat. i like the dog store. sounds very interesting. it rained all wk in most of nc. got a lot where i live in the triangle. I think it sounds like things turned out perfectly! 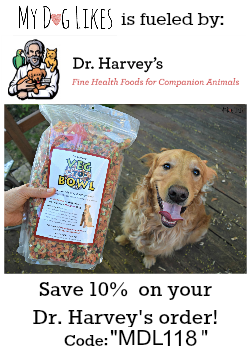 All that food just looked so awesome, and if you can’t be hiking, hanging out in such wonderful dog friendly places has to be the next best thing.